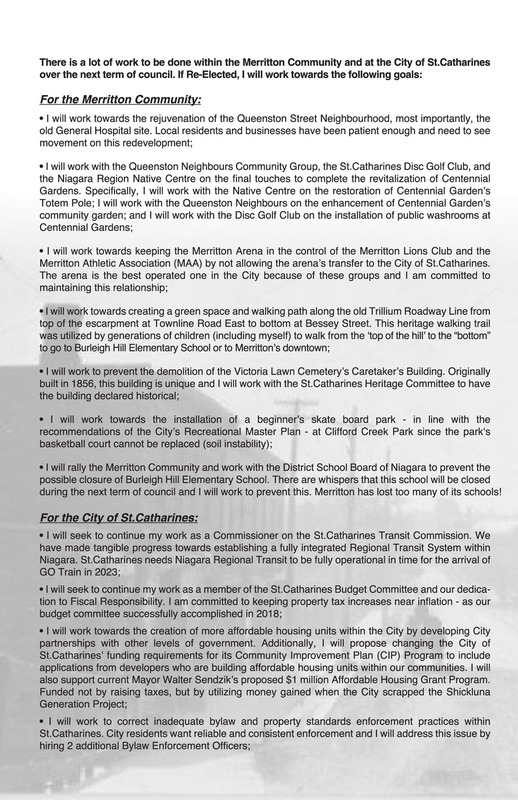 Here is my platform for re-election. 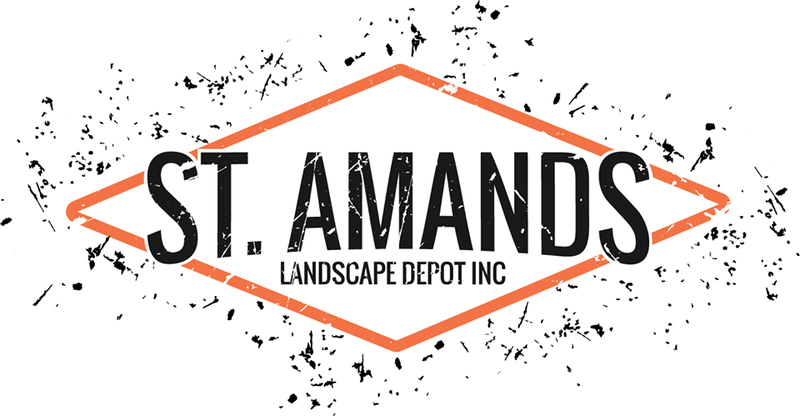 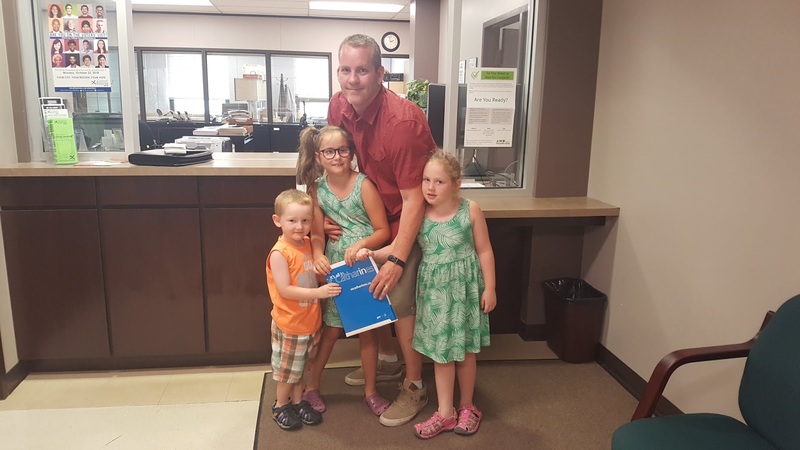 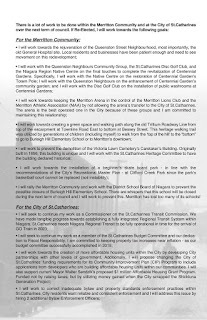 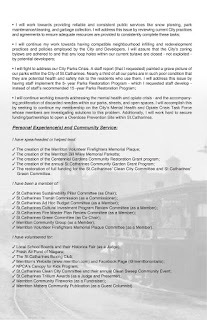 It is detailed and shouldn't leave anything to your imagination as to what I will strive to accomplish if I am Merritton's Representatives on St.Catharines City Council. 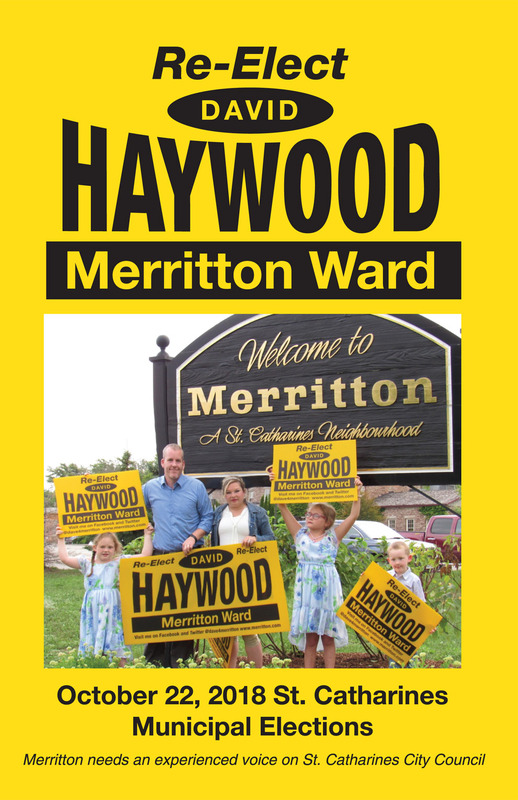 Merritton needs an experienced voice and I can be that voice! 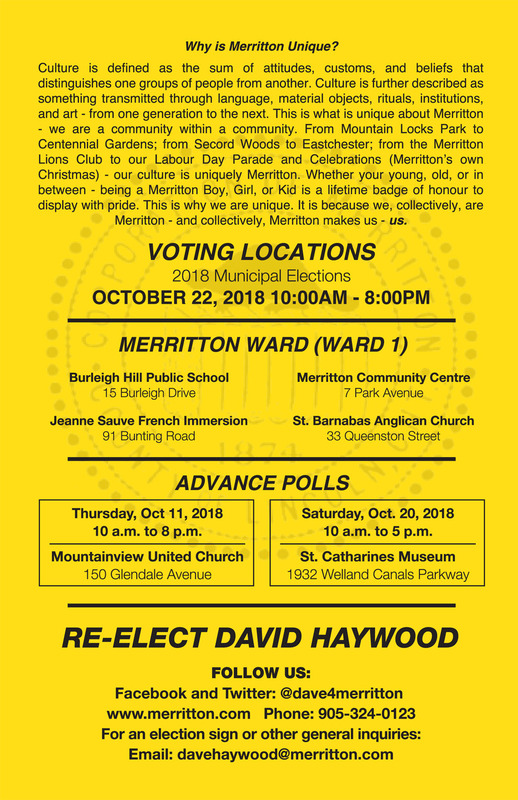 The upcoming 2018 St.Catharines' Municipal Elections are important for the Merritton Community. 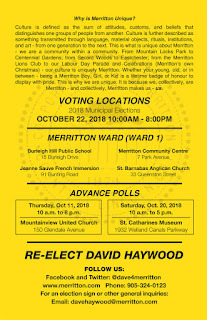 Therefore be sure to engage yourself with those candidates that have put their names forward. 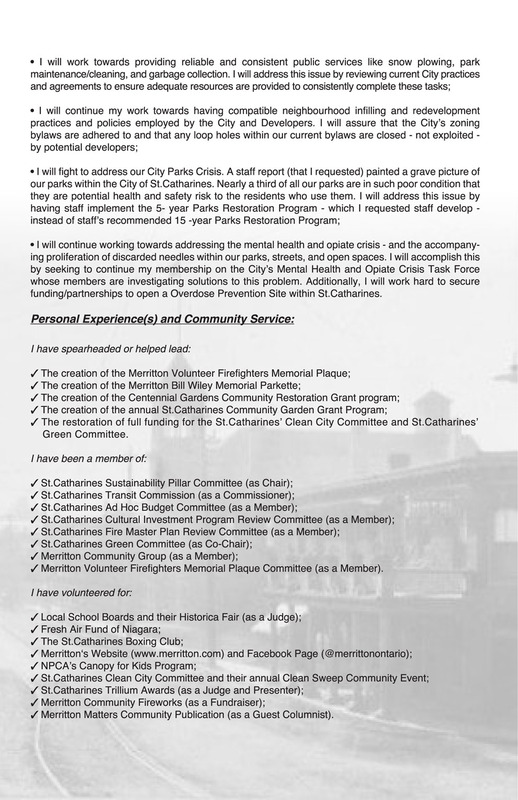 Merritton needs a experienced voice on St. Catharines City Council and I feel that I can be that voice. 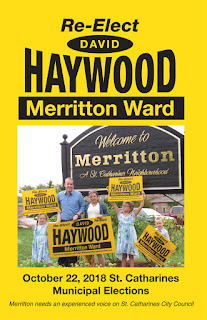 So please consider voting David Haywood on October 22nd, 2018.